The Mountain Biking UK magazine celebrates mountain biking by providing best content on everything related to this adventurous sport. 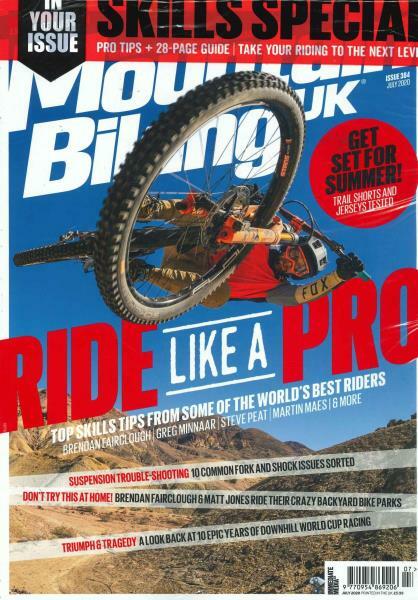 Buy a single copy or subscription to Mountain Biking UK magazine. It delivers most updated news on the recent developments in the industry along with genuine test reports of various bikes that have been tested hard on all quality parameters to suggest you the best buy. No matter what you level and style of biking is, the magazine would still have a chunk full of advices and tips for better riding experience. The bike reviews with technical specification and price evaluation helps you to buy an appropriate bike for yourself. You can also improvise your biking techniques and skill levels with the informative articles by top bikers while they share their real life experiences of adventurous ride off the roads. If you are a beginner, the Mountain Biking UK can have the best tips and tricks to get you all set on your bike in the shortest time to experience the amazing rides and if you are an expert biker, the magazine can cater your never ending desire to explore new and challenging tracks with its riding trail guides that covers the toughest and less explored tracks from all around the world.